HMI technology a mainstay in the television and film production industry. At the 1972 Munich Olympics, the HMI was the lamp of choice for television broadcasts. In 1988, OSRAM was awarded an OSCAR® by the Academy of Motion Pictures Arts & Sciences for the invention and continuous improvement of HMI light sources for motion picture photography. OSRAM HMI lamps are found behind the scenes of countless commercials, movies, and television shows, including hits such as “Nashville,” “Code Black,” “Grey’s Anatomy,” “Scandal,” “House of Cards,” “Quantico,” “Bering Sea Gold,” and many more. In 2007, HMI lamps received a Primetime Emmy® Engineering Award. At Cine Gear Expo, OSRAM will be presenting the future of HMI with the new HMI DIGITAL and HMI STUDIO families. To meet the growing demands of the entertainment industry, OSRAM has combined its familiar HMI UVS lamps and other single-ended HMI products under the new name of HMI DIGITAL. They offer flicker-free light when operated in modes of 1000Hz and greater with high-speed electronic ballasts. HMI DIGITAL lamps provide up to 100 lumens per watt with a color temperature of 6000 K. The HMI STUDIO metal halide lamp series, with a tungsten-like 3200 K color temperature, has been specifically engineered to replicate interior incandescent lighting on film sets and television studios. An evolution in metal halide lamps, and with a lifetime identical to traditional OSRAM HMI lamps, the HMI STUDIO series will simplify the stage by delivering best-in-class light while eliminating the need for redundancy through separate tungsten halogen fixtures and lamps. 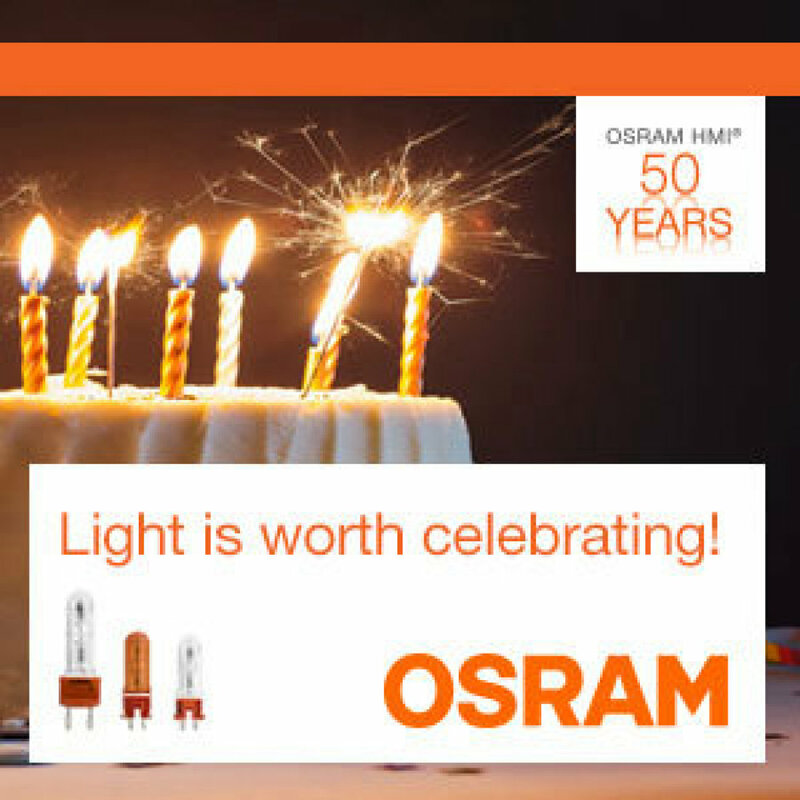 Fifty years later, OSRAM HMI lamps are continuing to revolutionize the film and television industry. Visit OSRAM at the Cine Gear Expo in Hollywood, Calif., June 2-3, at booth 114A, to learn more about the company’s latest innovations in HMI® technology.